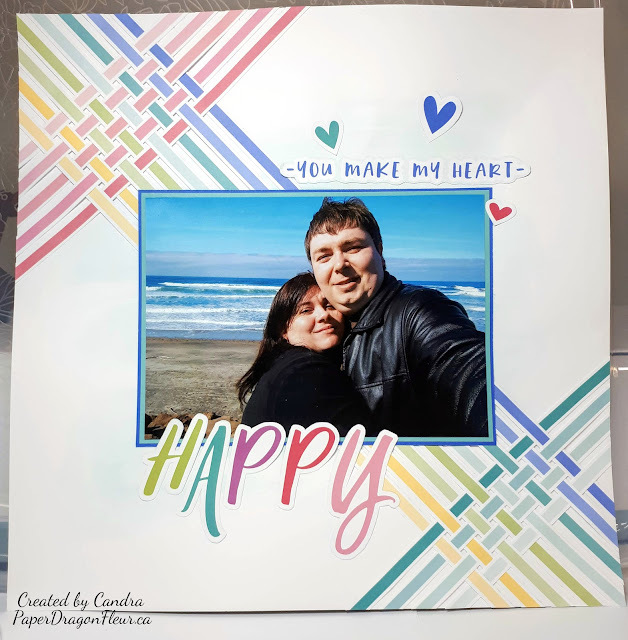 The I Heart Us collection really showcases how bright and bold Close To My Hearts colours can be and for my project I decided I wanted to recreate the beautiful 1-page layout that is found in the new I Heart Us Deluxe Scrapbooking Workshop. It is also known as "Project 4," and I just loved how the woven pattern created so much texture in an otherwise very clean and simple layout. 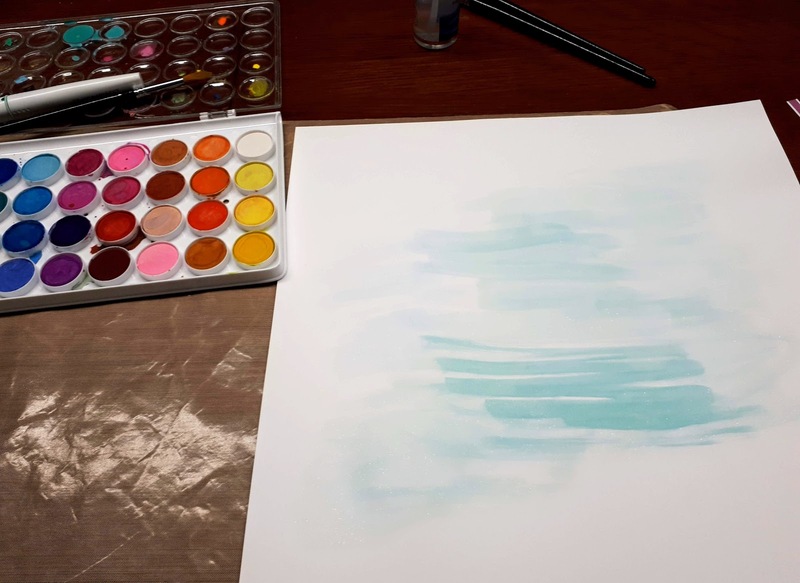 For my project, I followed the directions, and I started by mixing light blue watercolour paint with several drops from the Mint Shimmer Brush. Do be careful when painting on regular cardstock as it will "warp" your paper a bit as it dries if you overdo it. 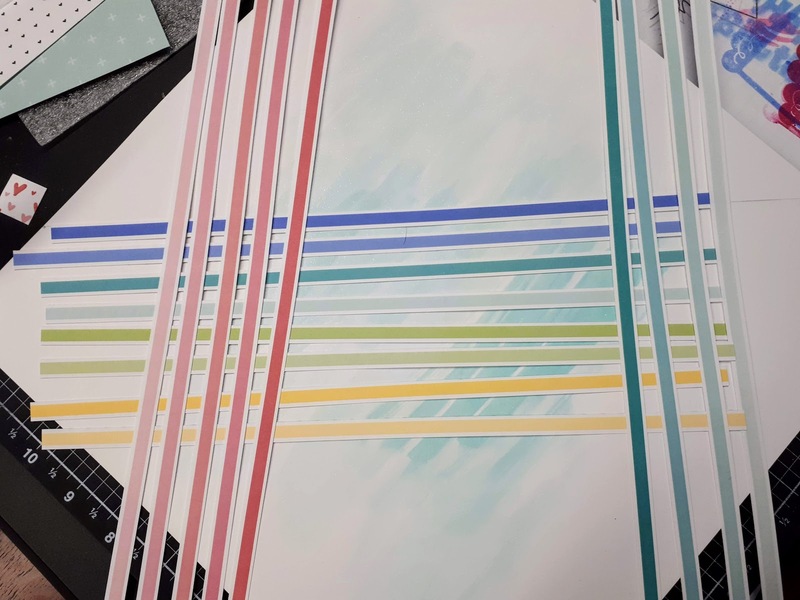 The next step was the hardest... deciding which colours strips I wanted to put where. Once this was settled the actually putting together of the layout took very little time and the weaving was fun once I got over the stress of getting them spaced out evenly! Then onto embellishment, I started by cutting out my sentiment (love that the paper packets now feature cut apart pieces) and I originally had planned on adding more bits as well as a few sequins, but the layout really didn't need it. Clean and Simple wins the day! As I am the last stop on your trip across Canada, your next stop on the Cross Canada Hop is back at the beginning with Michelle at My Creations with Michelle. Thanks for hopping along with us - we hope we were able to inspire you to get creative using some of the designs, products, and techniques as seen along the way. We hope you will join us again next month when we will be featuring the So Much Happy collection. So mark March 10th on your calendars and hop along with us. Great layout, I love that weaving idea with the bright colours, just super! The touch of water colour is awesome! OMG I just love this. 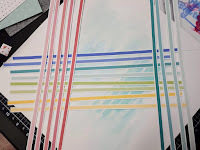 I kept wondering how you created those stripes so perfectly w/water color and then it dawned on me that it is part of our bulk paper, duh! The look is fantastic and beautiful! !